This is another odd post for this site. Something of a break from the weekly Nuke Tips and other VFX related posts. Update: I enabled comment for this post in case you have question about the service! Update 2: Revised grammar and spelling. Have money? There is a catch! There are some items that I wanted to purchase from Amazon JP but sadly those are items are fulfilled by the marketplace sellers which often does not shipped outside of Japan. Just imagine having money but there is no one in your country that actually sells it. So this is where we seek the brave online world to look out for the items that we want to get. After doing some research and asking around forums, I decided to try Tenso after having good feedback from folks who use their service. They are similar to comGateway which operates in the US who help to forward purchases that could not shipped outside of US obviously. Navigating Tenso English site is pretty straightforward and after creating an account, they will provide you with an address which you will fill in at Amazon JP as your local Japanese delivery address. They even provide guides on filling up the delivery address on several popular Japanese online store. Before they can ship you the items, Tenso requires you to provide documents of your current living address and IC/Passport for verification purposes as needed by the Japanese law. Just a tip here, do combine your multiple documents photo into a single picture as their uploader only support one attached file. You can also attached it through email if you accidentally upload only one document by replying to their email that says about them processing your uploaded document. It took nearly 2 working days after I uploaded the documents before they approve my account for delivery. Once that is done, you can proceed to go shopping frenzy at Amazon JP or other Japanese online marketplace. For Amazon JP , I find it impressive that it takes less than two days for the delivery to reach Tenso warehouse. Tenso will also email you when they have received your item and will also include the shipping price for it to your home address. Well I bet most people will rarely buy one item and shipped it immediately. So this is where Tenso offer consolidation packaging. Their consolidation fees can be found here and I find it pretty reasonable. After the consolidation done, they will email you again with the final shipping fees which you can proceed to pay using credit cards or Paypal. Also Tenso only uses EMS so there is no other delivery option like SAL or alternative courier services such as DHL. It took one week to reach my home after Tenso dispatch the items from Japan. Pretty standard as my home is located at a remote island somewhere nearby Brunei and the Borneo island. Ok it is located at Labuan, Malaysia. The light novel are the only item that is deliverable internationally from Amazon JP with the other three items obtained from Amazon JP Marketplace seller namely the Dengeki 20th Artbook, the Takstar shotgun microphone and the fake fur. Fun fact: it is impossible to find the fake fur in Kuala Lumpur. 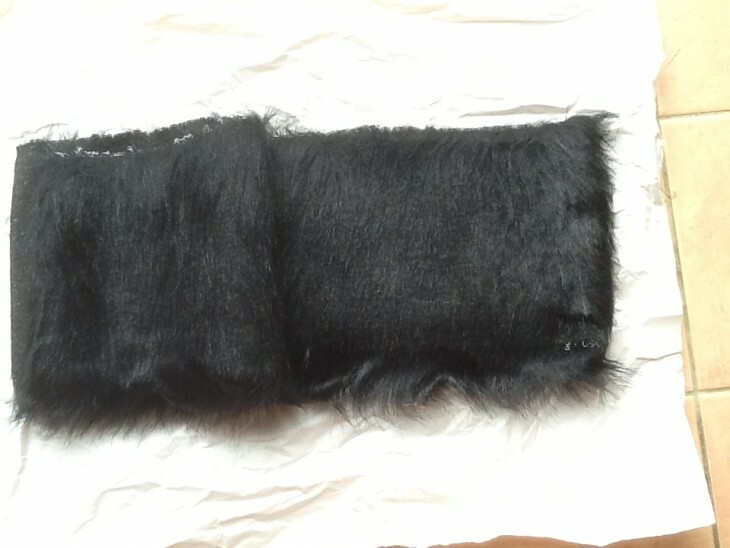 The nearest equivalent available at one craft shop in Petaling Street cost RM30 (approx USD $9) and it is very little compared to the amount that I got (the fake fur cost me 300 Yen excluding shipping). 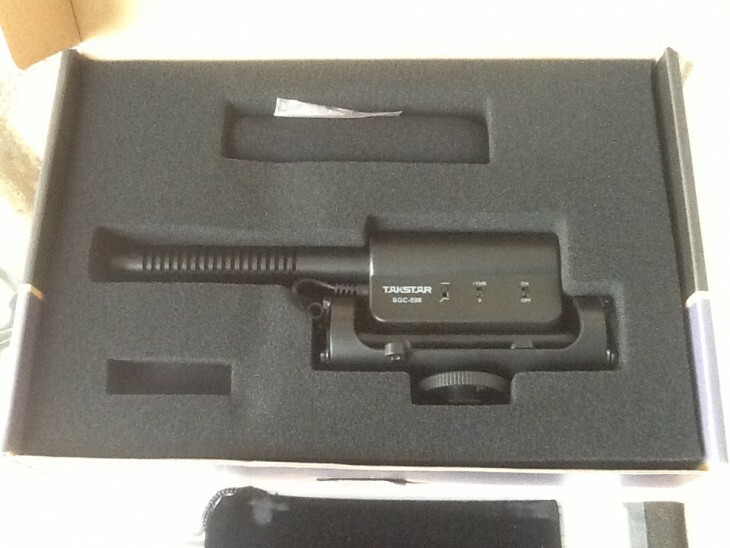 For those curious with the microphone, I do have a shotgun microphone that not only cost as much as this but performs miserably for outdoor usage. I decided to pick this up with my other Amazon JP marketplace purchases since the shipment from Amazon US to Malaysia is over the top for me. 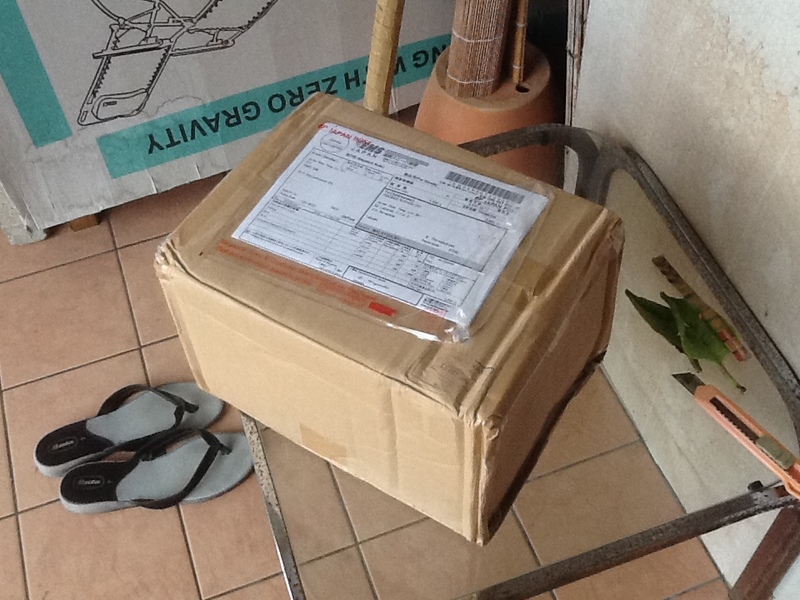 Overall, the items are packed nicely and I got nothing much to complained. 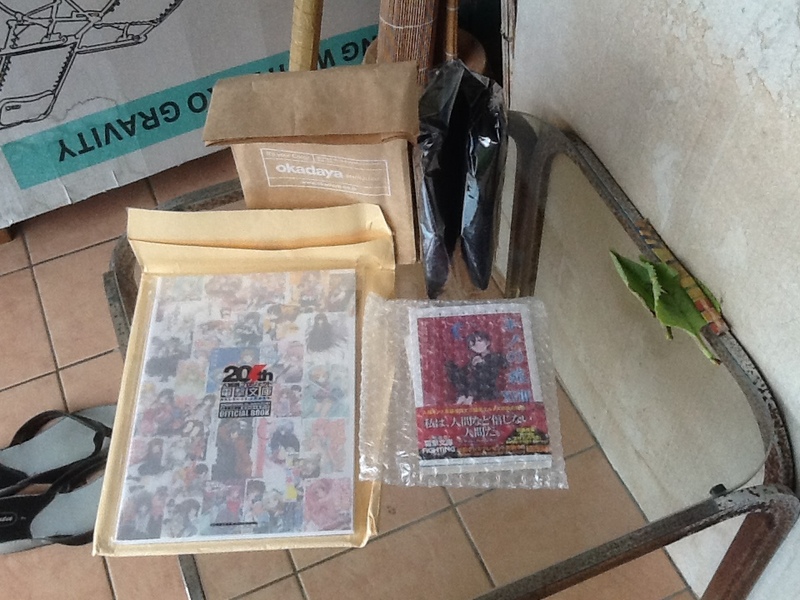 So far this is my first delivery using Tenso and I cannot say it is bad or good. Maybe with more future purchases from Amazon JP marketplace, I will update this post with a more objective impressions. First timer need to submit your documents (passport, driving licence or identity card etc) to confirm your shipping address (usually your home) and full name to Tenso before they can ship any items to you. 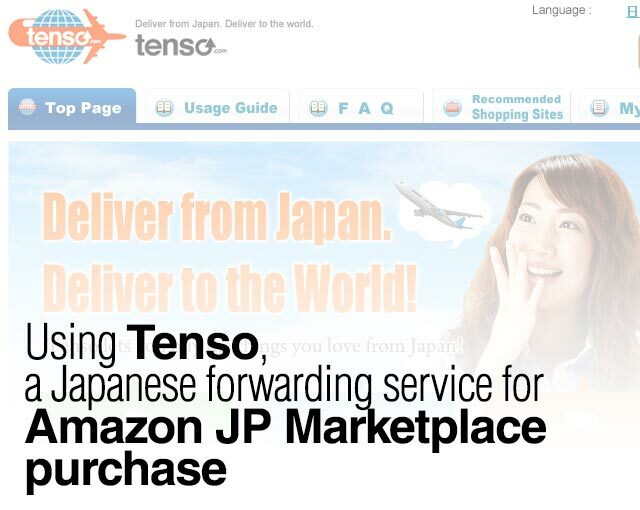 Refer to this link for guide to inserting your Tenso delivery address for most popular online shopping sites in Japan. There is some Japanese shops don’t deliver to Tenso since Tenso is a forwarding company. One example is the popular figurine and hobby store, AmiAmi. To change your delivery address, you must shipped an item to your current address and have a confirmed delivery. I never try this yet though but just a head up from their FAQs. Tenso only uses EMS (I think they have alternative delivery for batteries which you can find on their site). Their command of English is pretty decent so don’t worry about Google Translate reply (better than most recent graduate in 1Malaysia).